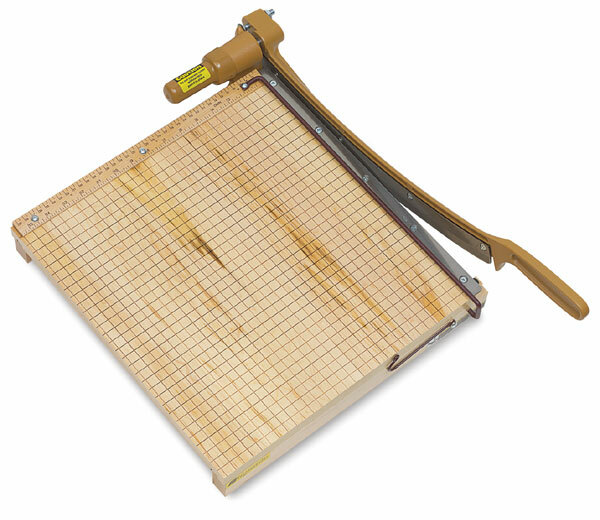 This classic paper cutter is designed for heavy cutting. A tension spring safety feature holds the blade in perfect alignment. A safety guard rail protects on all sizes. The hardwood surface is scored and ruled in half-inch squares, so that it is easier to measure and align paper. Self-sharpening, special bevel-ground, tempered steel blade. Note — 30" size requires Truck Shipment.